Jules is a lace up leather boots. Urban model, vintage and contemporary. Its coffee color matches perfectly with Atelier TUFFERY’S denim. 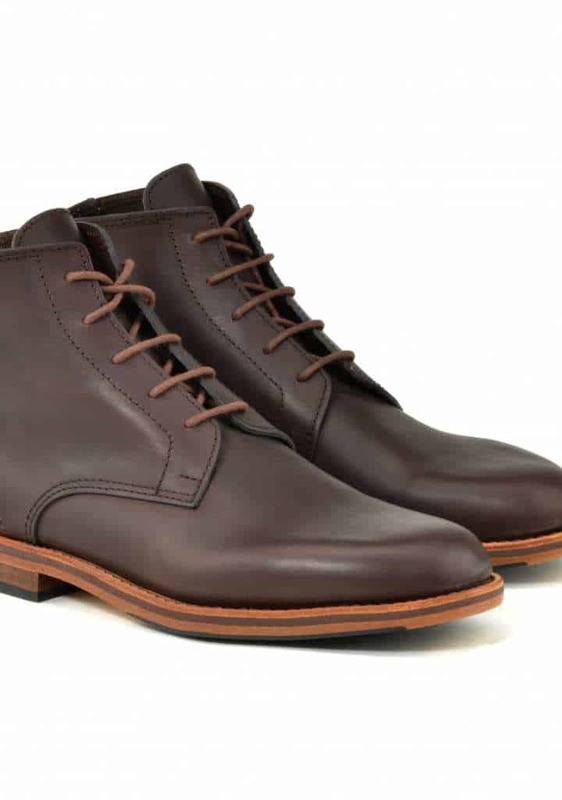 This very stylish boot is made entirely of full-grain leather, suportlo (supports water) a fat French leather which as its name suggests is water resistant. Interleave 2 layers : 1 layer of micro-cell (for cushioning and thermal insulation) and 1 thick vegetable tanned leather (2.5mm thick neck). These two layers are glued and stitched together. Vegetable tanned leather sole (4.5mm thick butts).